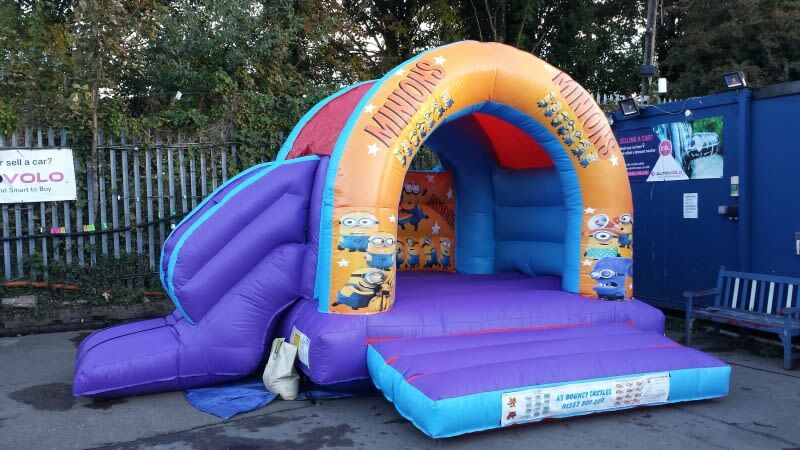 minions bouncy castle - everyone's favourite characters depicted on this themed bouncy castle with an inflatable slide - hours of fun! Have fun with your friends while saving the planet! Suitable for children up to the age of 15. This bouncy castle will fit comfortably in most back gardens and includes a sun/shower cover so the British weather won’t spoil your fun! This Minions castle can be fitted with Lazer Lights And Music for an extra cost click on product extras to add to your booking.